As the largest city in the Midwest, and the third most populous in the US, Chicago is one of the main economic and cultural centres in North America. Located on the shores of Lake Michigan, the city is divided into many distinct neighborhoods, all of which have a unique flavour and appeal for those planning on an extended stay in the Windy City. 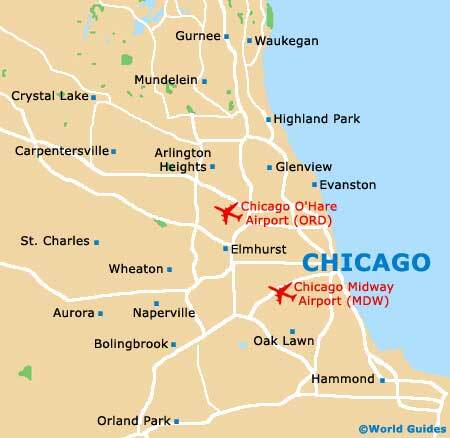 Chicago is a spectacular place to be during the peak tourist season, from spring to early autumn, and the city attracts visitors from all over the world because of the many festivals, parks, beaches, sports arenas, and museums. The winter months see a marked decline in tourism, mainly due to the cold and snow from November to February. 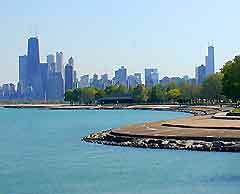 The lakefront is the main attraction in Chicago, and Lakeshore Drive (LSD) is an extremely popular, albeit rather expensive, area to live. While renting an apartment in Lincoln Park or the Gold Coast is perhaps the first choice for visitors, Printer's Row in the South Loop or Wrigleyville on the North Side are more economically friendly. Property prices run the gamut from cheap to expensive in Chicago, and while there are plenty of options available for purchases within the city limits, many expats find better opportunities in safer neighborhoods outside the city, in suburbs such as Oak Park. There is a plethora of serviced apartments available in the city, most of which can accommodate any length of stay, although you will assuredly pay more per month for a shorter lease. Renting a serviced apartment will be cheaper during the winter months, since the tourist season in the summer drives prices up according to demand and availability. With Chicago being a major metropolis, all the amenities are available in most serviced apartments, including high-speed Internet access, laundry and dry cleaning services - and even pet care. One major consideration to take into account when coming to Chicago is the method of transportation. Owning or leasing a car can be costly, mainly because of the lack of adequate parking around the city. The many taxis, as well as the public transportation system, specifically the 'L' trains, provide for low stress and quick access all through the area. Buying a home in the city is usually not the best option, and while some areas may see reasonable prices, they may not be the safest places to live. The suburbs are a popular place to purchase property, and Oak Park is one of the most affordable and closest areas to the city. The western suburbs are also easily accessible via the Metra commuter train. Purchasing an apartment in the city is a little more affordable, for the recent economic downturn has driven prices down considerably. 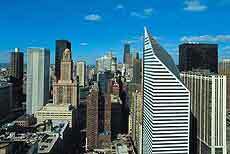 Lofts tend to be the most popular choice and are found all over the city at reasonable prices. It is not necessary to be a resident to buy property in Chicago, but non-US buyers should expect to pay a greater down payment than locals. There is an abundant supply of real estate agents in the city, and because of the many embassies and international flavour of Chicago, most have extensive experience dealing with foreigners who come for extended stays. This company offers a range of property listings within the city limits and the surrounding suburbs. This agency has been helping people find places to live for over 25 years in the Chicago area, and can find the best rates in the city. A professional service that will drive you to different apartments free of charge to find the one best suited to meet your needs.